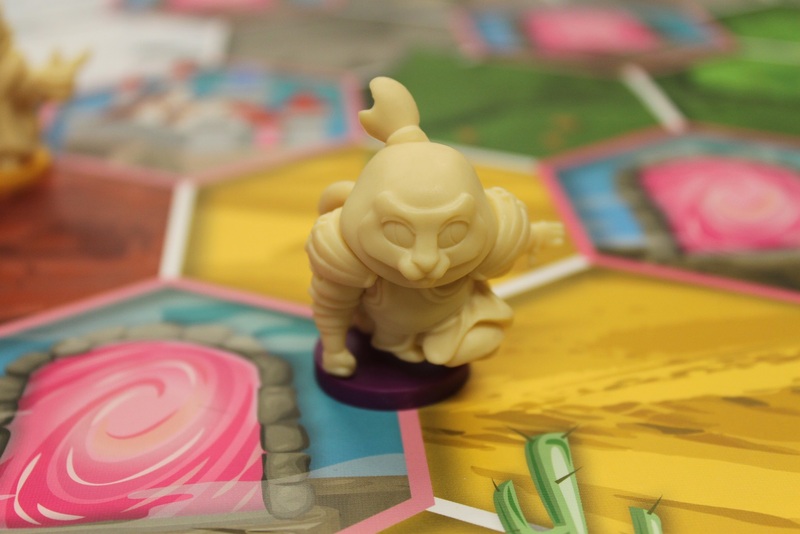 My local board game meetup in Vancouver was lucky to have the chance to play a production copy of My Little Scythe with the designer Hoby Chou on hand. 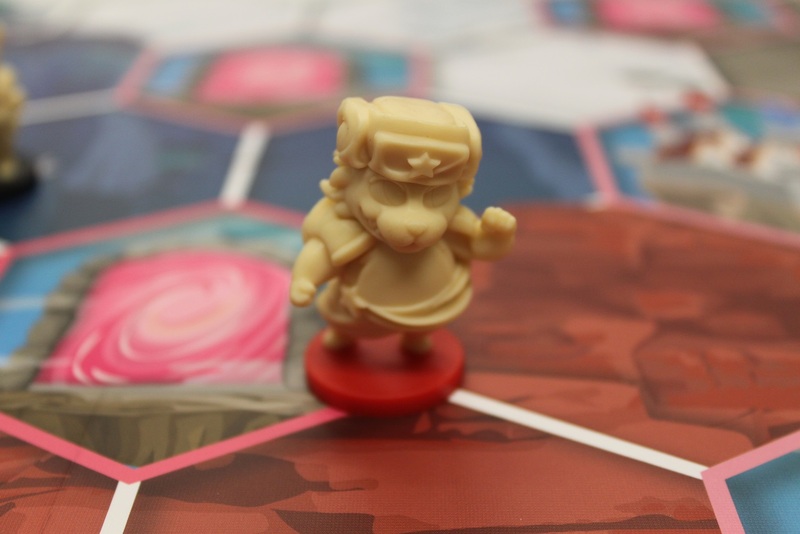 Chou designed the game based on Scythe with his daughter Vienna Chou. 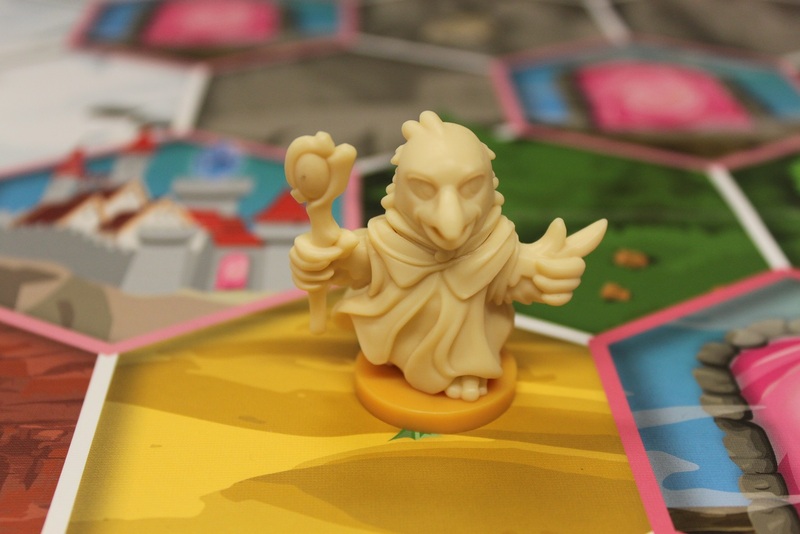 The vibrant artwork from Katie Khau), cute miniatures, and simplified rules create a less intimidating game for families and new gamers alike. All while maintaining elements familiar to experienced Scythe players. 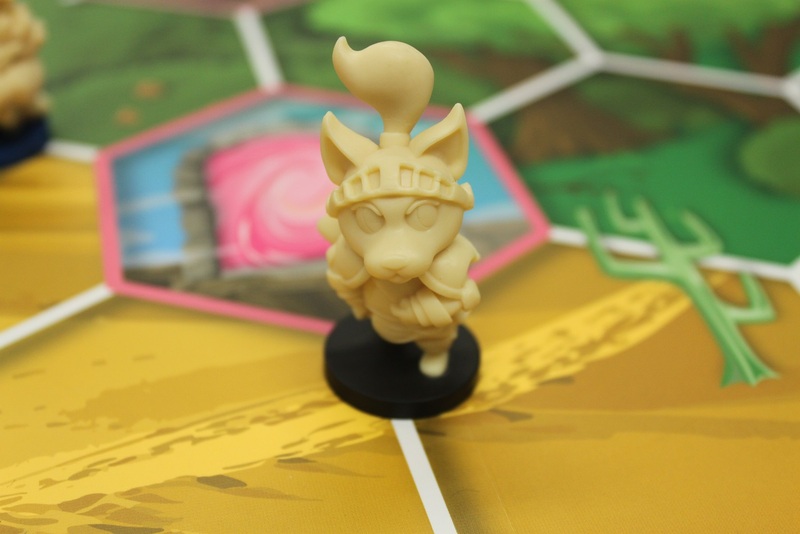 My Little Scythe plays with up to 6 players and includes 7 pairs of unique animal character figures for a total of 14 minis. Players can move, seek, or make on their turn. Dice are rolled for the seek action to determine where apples, gems, and quests are placed. Placing gems and apples in a space with an opposing player increases your friendship. The color of the icon determines the area the resource must be placed in. 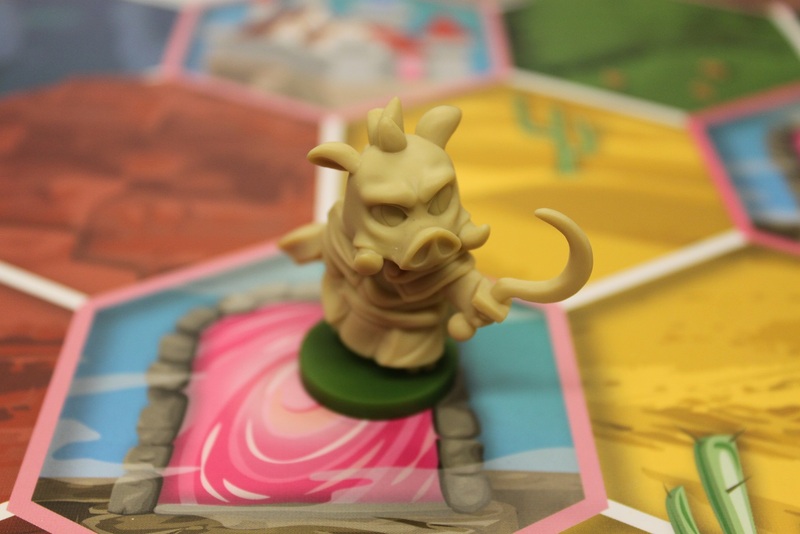 A new mechanic in My Little Scythe is deliveries. Apples and Gems can be used for make actions from wherever your characters are on the board, or you can attempt to move them to the castle. Delivering 4 apples or 4 gems to the castle in the middle will earn a trophy. Similar to encounters in Scythe, a quest card is drawn when a player stops on a space with a quest token. They must choose one of three options. Encountering other players on a space starts a pie fight. Players can throw as many pies as they have on the pie track, plus additional pies on magic spell cards. The player to earn 4 trophies triggers the end of the game and all other players get one final turn. I managed to win with 4 trophies, the most friendship, and the most resources (gems & apples). 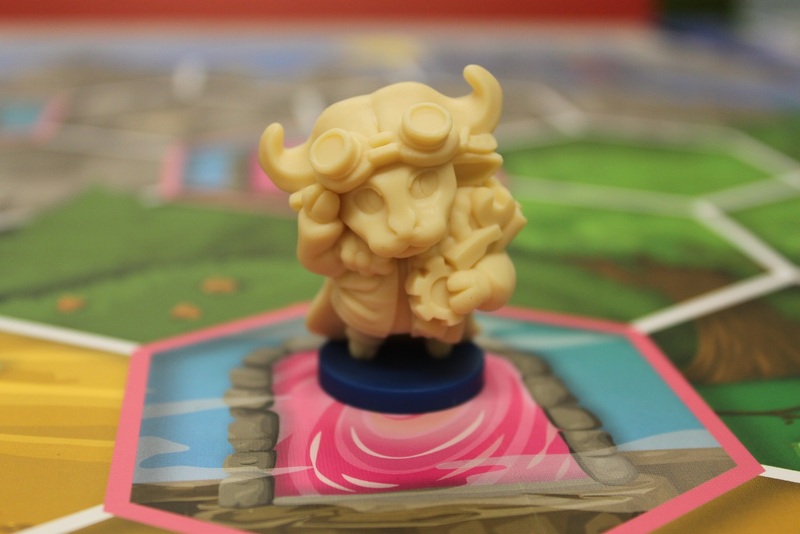 Take a closer look at these amazing minis. Click to open full size. 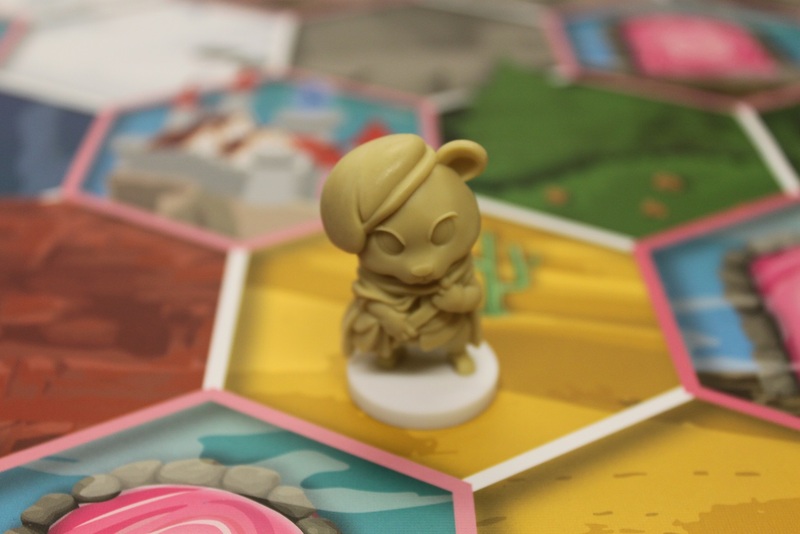 If you have any questions about My Little Scythe, drop them in the comments. Let me know how excited you are for this game!